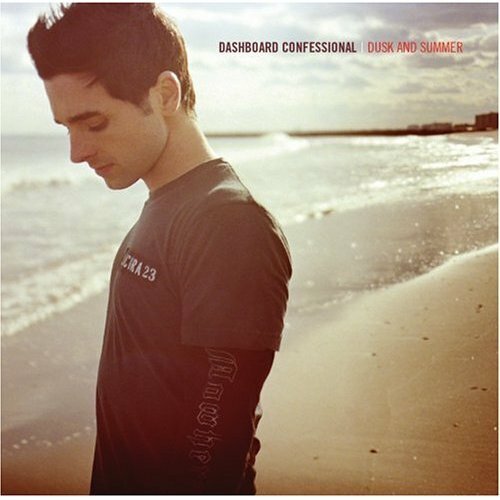 A bit of guilty pleasure of mine, only because I think these guys are really popular with the little girls, but Dashboard Confessional are all over my iTunes music library. Their 2003 effort A Mark, a Mission, a Brand, a Scar has some great power pop rock on it. They’re one of those bands who have some pretty famous fans, but still haven’t registered their own fame fully yet. All it took for me to buy the CD was standing at a listening station in the Tower Records in Dublin a few Christmases ago when I heard the opening track “Hands Down” I was already putting the CD in a stack of purchases. Lots of people including myself have been waiting anxiously for another album…let me tell you, the wait is over. Today they released Dusk and Summer and it’s pretty good. If you’re looking for a change of pace or a fun summer CD, here’s your chance. Did I mention Daniel Lanois produced Dusk? 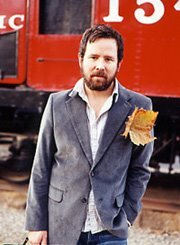 If you’re looking for a track or two to get warmed up to them, I recommend snagging “Hands Down,” “So Long, So Long” (which features Adam Duritz from Counting Crows), “Ghost of a Good Thing,” “Vindicated” (from Spider-Man 2) and while you’re at it, you might as well pick up the MTV2 Album Covers album where they play a few tunes from R.E.M.’s Automatic for the People featuring a guest appearance from Michael Stipe and then Stipe “covers” “Hands Down” with help from Dashboard. Grant Lee Phillips also released a CD of 80’s covers called Nineteeneighties. I haven’t had a chance to listen to it, but I like me some Grant Lee and some of the songs he’s done are pretty epic MKinMotion 80’s songs. You owe it to Grant Lee if you only know him for his appearances on Gilmore Girls, which I don’t know from experience but rather his bio I just brushed up on. Check out anything from Grant Lee Buffalo, but I will recommend anything from Mighty Joe Moon and Jubilee, his solo Virginia Creeper is also excellent.